Do you remember writing a research paper? Even if you don’t remember the first thing about writing a research paper, you don’t have to worry. Why? Because we’ve created a simple guide to show you how to teach research paper writing to your highschooler. From selecting a topic to presenting a formal draft…we break down the parts of writing a research paper into easy to follow, manageable steps. 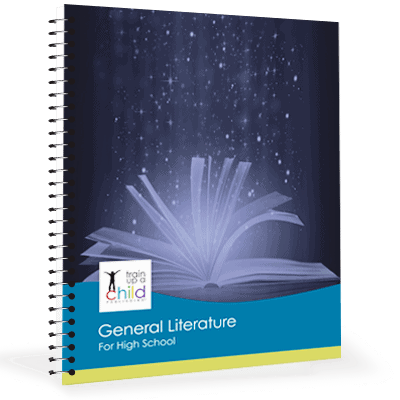 This easy-to-teach, one semester high school level English elective is written directly to your student. It includes activities designed to teach each necessary skill to writing a formal research paper. Not only that, it also has clear instructions to help you evaluate your student’s work. This course includes the added bonus of an example research paper (with its outline) written by a real high school student! Ideally your student should write two research papers during high school. Fortunately, you may use this non-consumable course over and over again for one student or ten! The Steps to Writing a Research Paper is 76 pages, printed black and white and coil bound. Activities and graphic organizers help your student with research, note-taking, bibliography and paper organization. 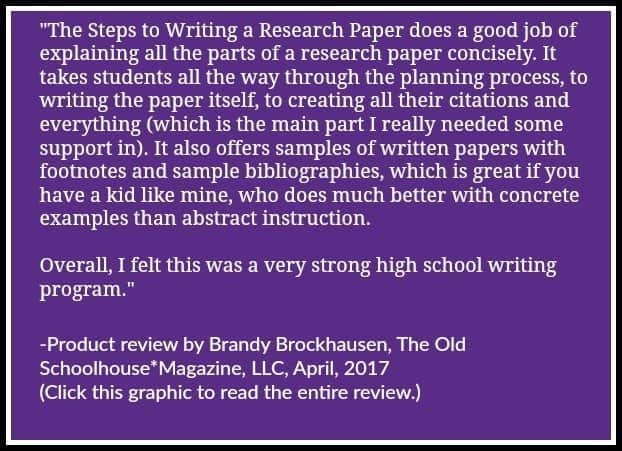 A full length outline and research paper example with bibliography, written by an actual high school student, so you and your student can see an example of high school level work. Optional honors track available, allowing you to award honors credit if you want to. Specific academic writing problems and techniques addressed in detail, such as plagiarism, writing transitions, footnote instructions in MS Word, self-editing, and more, to help your student with the difficult areas! 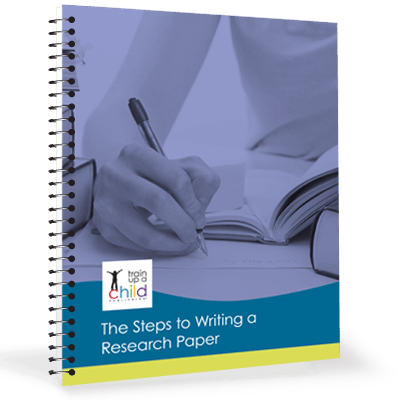 See the Table of Contents and sample of The Steps to Writing a Research Paper. My daughter used The Steps to Writing a Research Paper as a reference and how-to guide for a home school science class as well as for a sign language class. The science assignment was for her to research a science-related topic, perform research and experimentation (following the scientific method) and compile it into a formal science research paper that culminated in a formal presentation at a National Estuary. 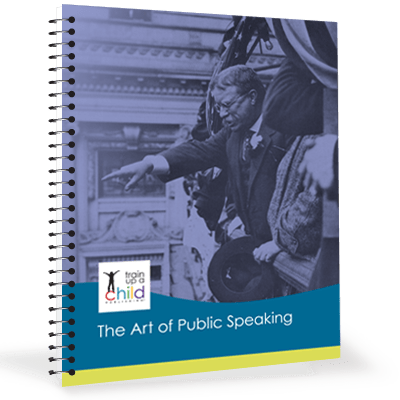 She also consulted The Art of Public Speaking curriculum prior to her presentation. The sign language class required her to write a persuasive type of research paper and she used The Steps to Writing A Research Paper curriculum to accomplish this task as well, even though this paper was not required to be as lengthy as the science research paper. 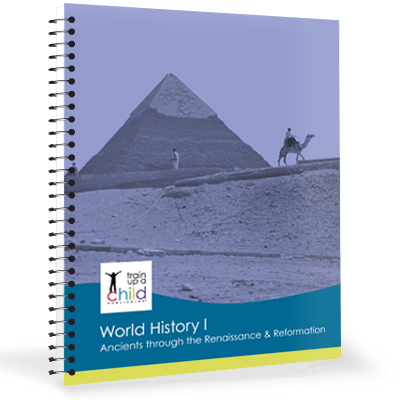 All-in-all, this curriculum has been an invaluable asset to our home school courses.